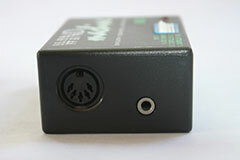 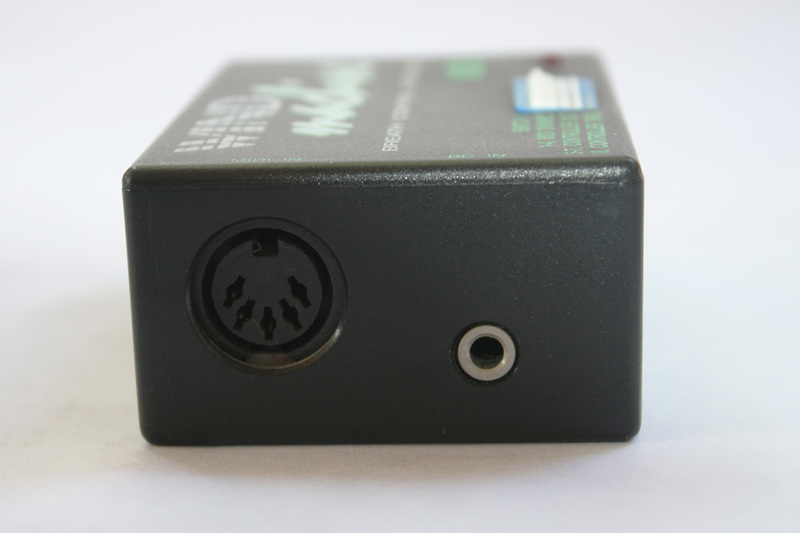 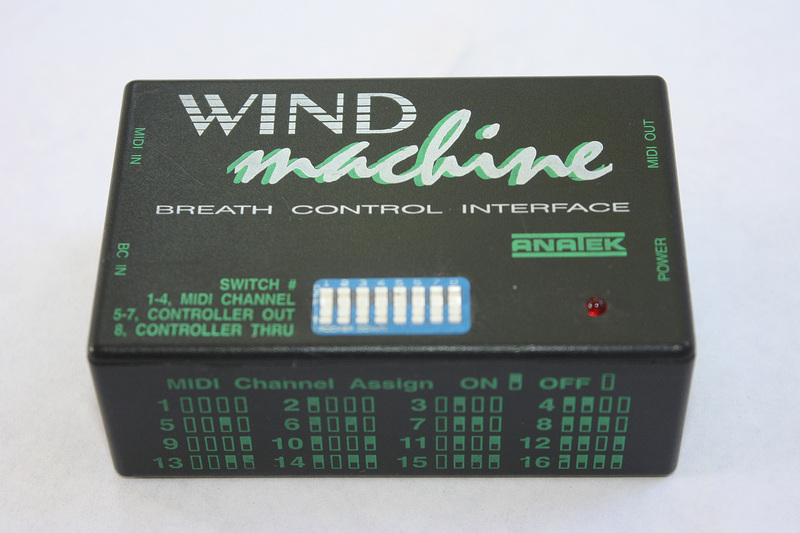 Input: MIDI IN (5 pin DIN) & Breath Controller Input. 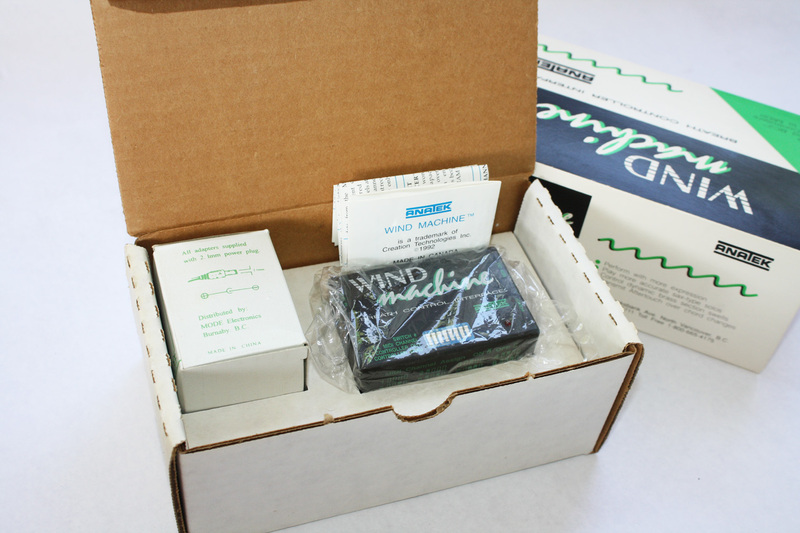 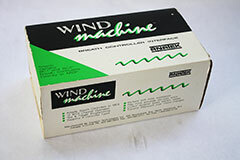 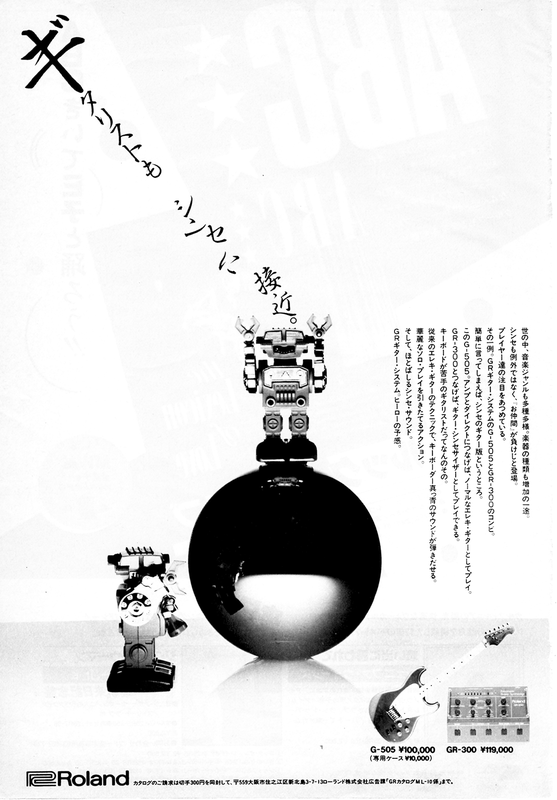 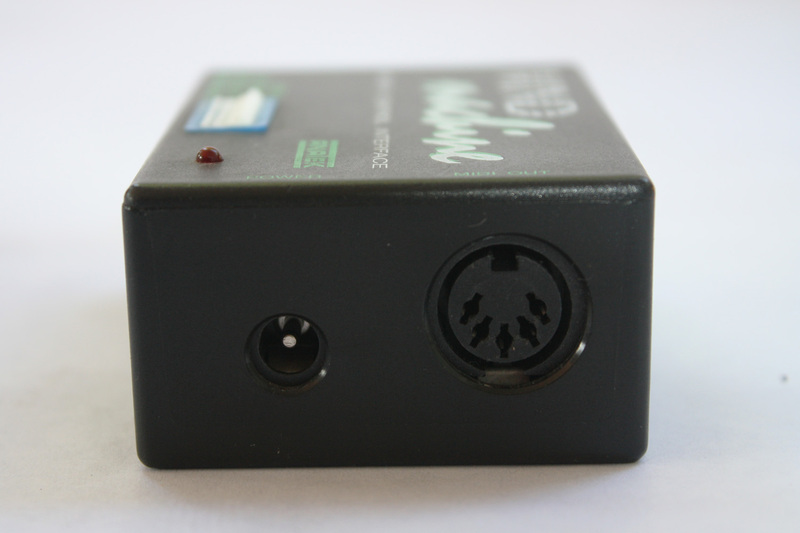 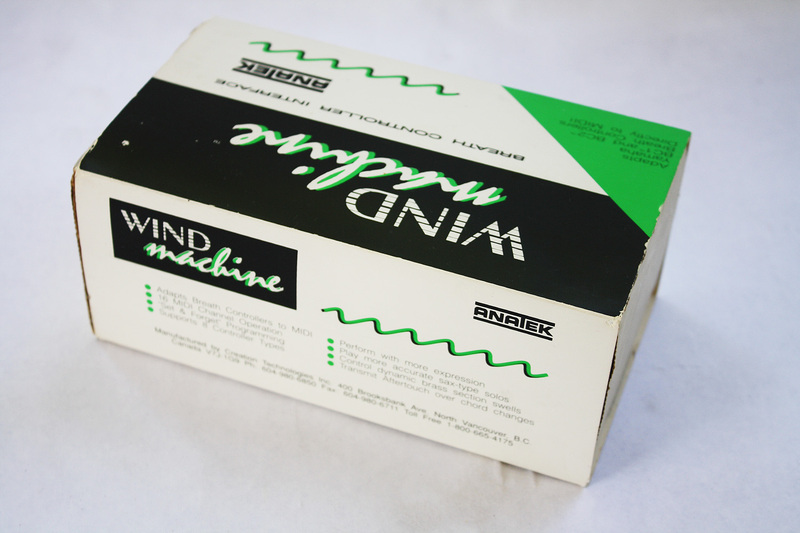 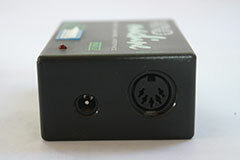 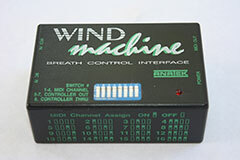 The Wind Machine was developed to interface a Yamaha breath controller BC1 or BC2 (not supplied) to virtually all synthesizers that respond to standard MIDI continuous controllers such as Modulation or Aftertouch. 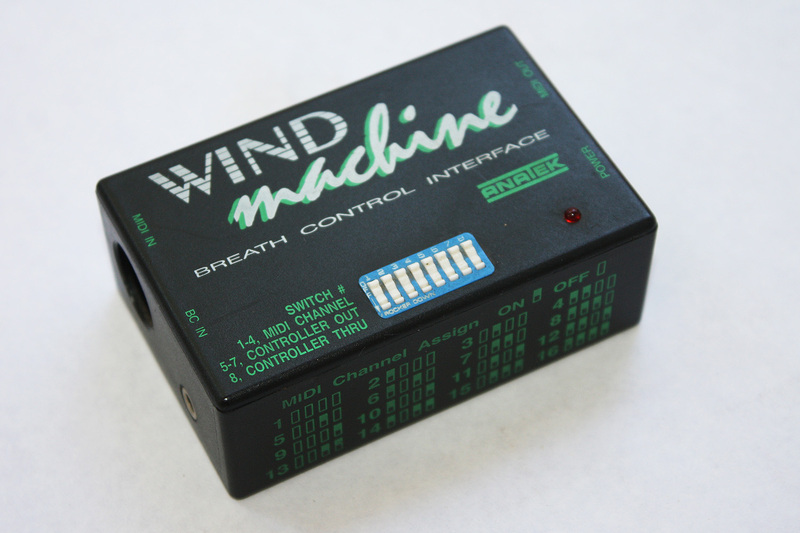 This allows the musician to control volume, timbre, and other parameters during performance by simply varying breath pressure on the breath controller mouthpiece. 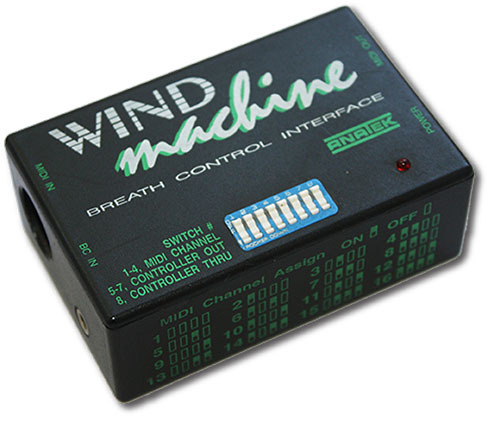 Wind Machine reads the resistance created by the breath controller and converts it to any one of eight MIDI continuous controllers on any one of sixteen MIDI channels. Switches on the top of the product select the controller type and MIDI channel and these settings will be maintained even while the unit is powered down. 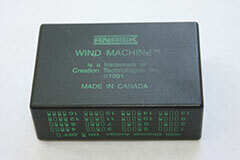 Wind Machine may be used as a MIDI transmitting device only, or it can merge incoming keyboard data with the controller data it generates. 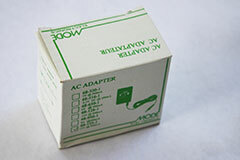 The 8 DIP switches on Wind Machine match it's output with the type to which the synthesizer responds. 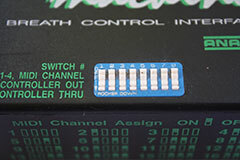 The combination of switches 1 to 4 determine the MIDI output channel; switches 5 to 7 determine the type of controller and switch 8 is the Controller Thru Disable. 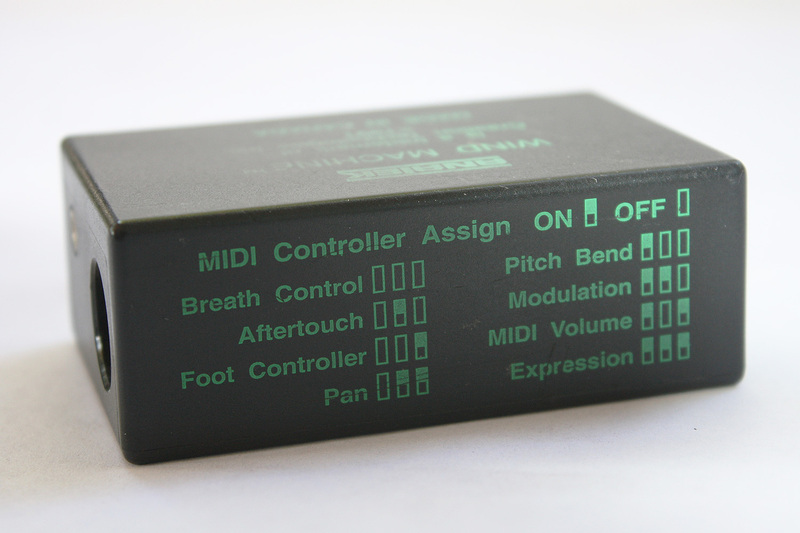 Experimentation with MIDI Volume, Modulation or Pitch Bend parameters on MIDI channel 1 are most likely to produce initial results quickly unless the synthesizer's exact controller specifications are know. 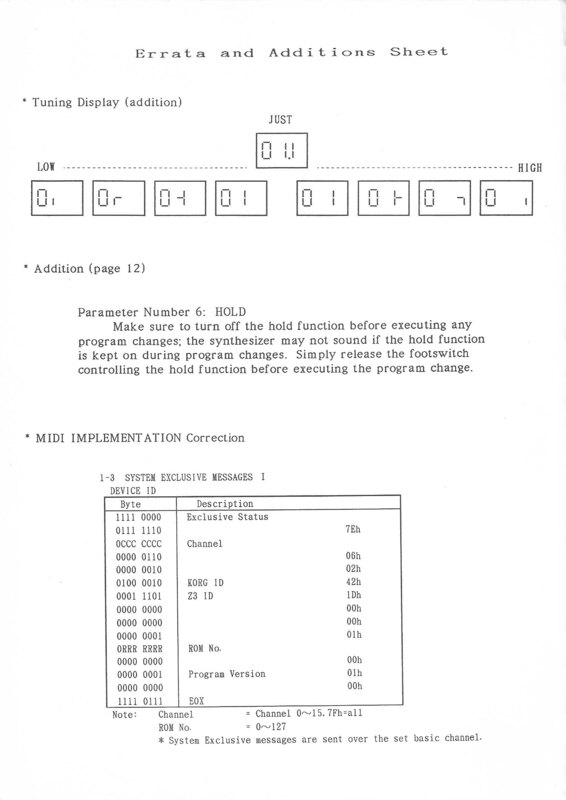 This information is usually found at the back of the synthesizer's manual in the midi Implementation chart under Control Change (Recognized). NOTE 1: Wind Machine is capable of transmitting one controller type on one MIDI channel only. 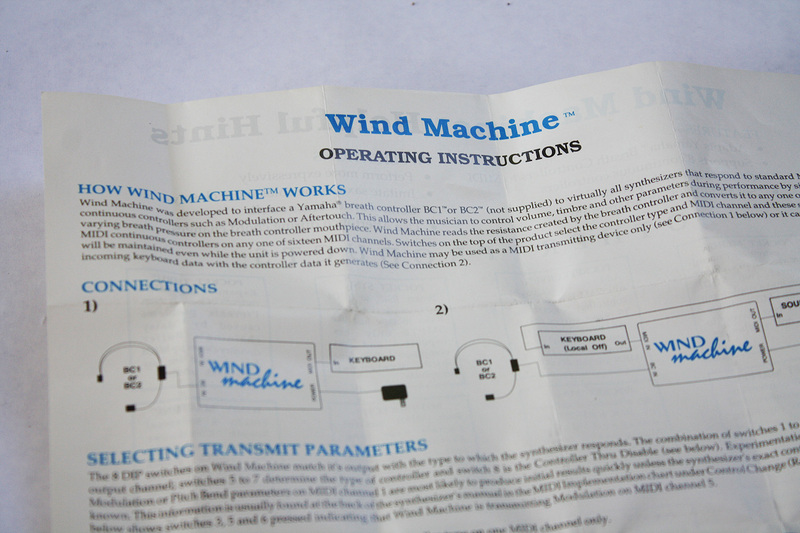 NOTE 2: A switch is ON when it's lettered part is flat against the lid of the Wind Machine. 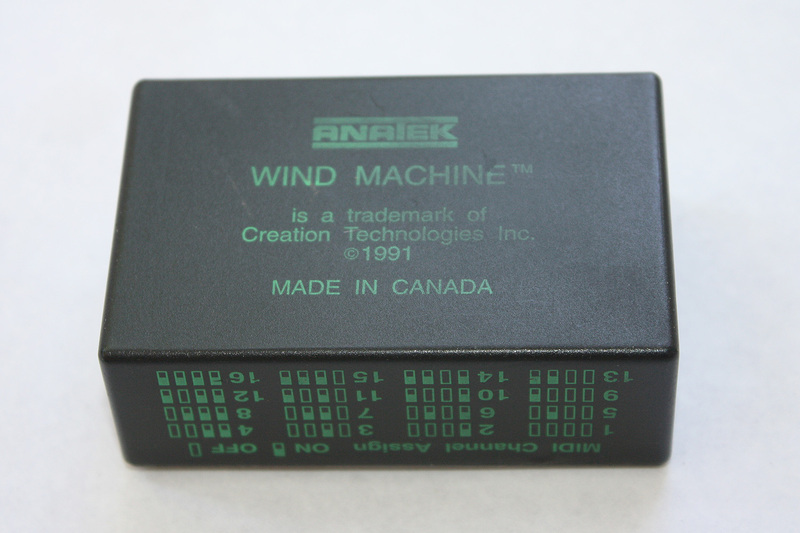 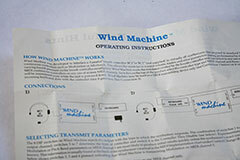 Download the Anatek Wind Machine Manual (pdf).